On Sunday, October 8, 2017, shortly after 9:00 p.m., Officers were dispatched to the area of Gemini Lane in reference to an aggravated robbery. The victim told officers that they were approached by several black males who were armed with a gun. The suspects allegedly demanded the victims to hand over their belongings and money and were last seen leaving the area in a white sedan. A few minutes later, Officers responded to the 4900 block of Teal Dr in reference to a similar robbery. Two more robberies were reported just after midnight on Monday, October 9, 2017. Officers were dispatched to the first robbery in the 2600 block of Maria Drive, where the victims reported they were robbed at gunpoint. The suspects were said to have fled the area in a white sedan with the victim’s wallet and cell phones. The second call was reported from the 4100 block of Bowles Drive. The suspects’ descriptions and method of operation appeared similar to that of the previous three robberies. While officers were in route, they located a white sedan in the area matching the description of the suspect vehicle reported by the victims. The officers’ conducted a traffic stop of the suspect vehicle and detained two juveniles and two adults. Through subsequent investigation, officers’ located property belonging to two of the victims. 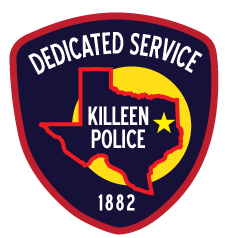 The juveniles were transported to the Bell County Juvenile Detention Center and the two adults were transported to the Killeen City Jail awaiting charges.